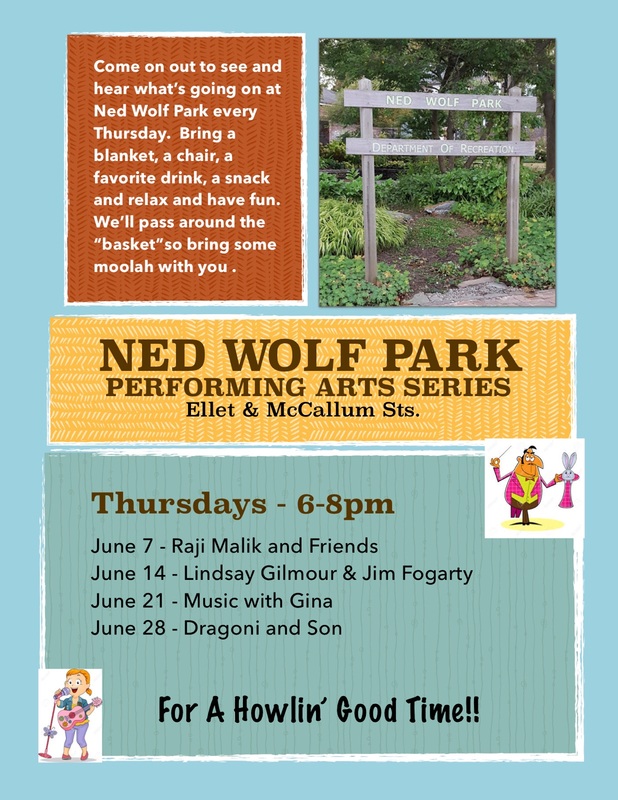 We are thrilled to announce the very first Performing Arts Series at Ned Wolf Park -Thursday evenings from 6 to 8 pm in June. This unfunded program will be an experiment to see if our Mt. Airy Community will come out to enjoy some music or other programming. By passing a basket for donations, all contributions go directly to the performer(s). Organizer and neighbor Larry Freedman@comcast.net hopes to extend the performances through the summer if the series builds momentum with some good, supportive audiences attending. He hopes to provide a diverse mix of music and perhaps other performances (poetry reading? magicians? dance?). So, come early for a place on a bench, or bring a chair, a cushion for the stone wall, or a blanket for the lawn. And don't forget a bit of cash to say thank you to our performers! 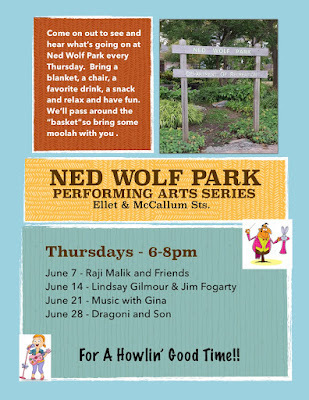 JUNE 7 - Raji Malik and Friends will perform acoustic pop with an East Asian flair. Acoustic Folk, Pop, Swing and Twang ...original and covers... from two accomplished, well-respected veterans of the music scene from Philly to New Zealand.